These two will probably be the last humans I will add in my Mass Effect NPC collections. Two reporters for the price of one! 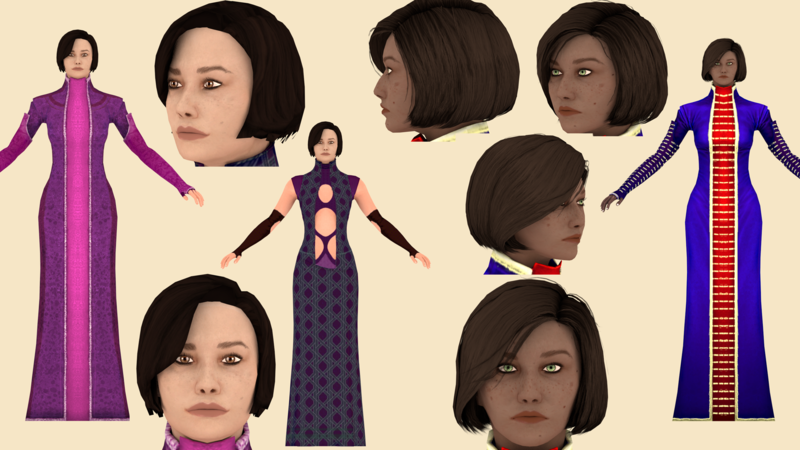 Here come Emily Wong and Khalisah Al-Jilani, the latter in her ME3 version. 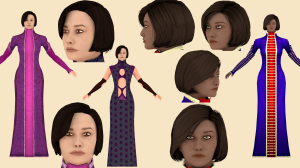 Two versions of Emily Wong in the blend file. Khalisah is on layer 1 and Emily is on layers 3&4.